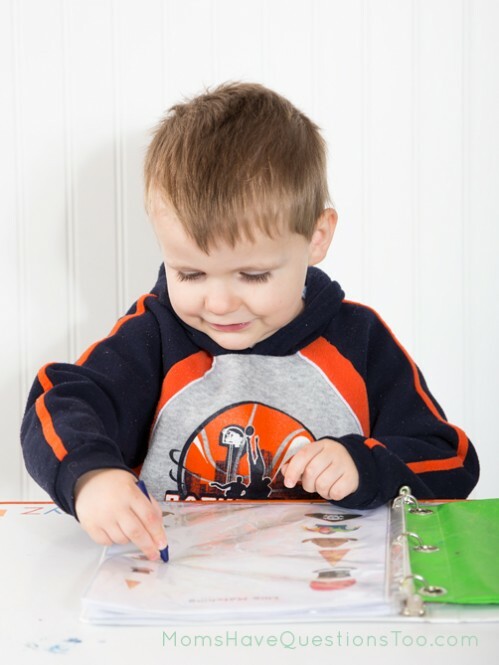 What toddler homeschool curriculum will help my teach letters to my child? Tot school has been a bit interesting lately as I’m sure you can imagine. 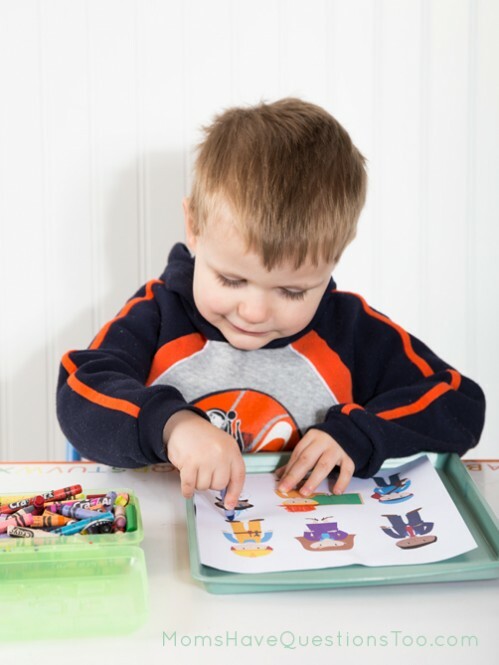 Other than doing these activities for the pictures, Smiley Man didn’t really do any of these things except tot trays and the H sensory bin. Think of the pictures as more of a reference, than a record of what we did. 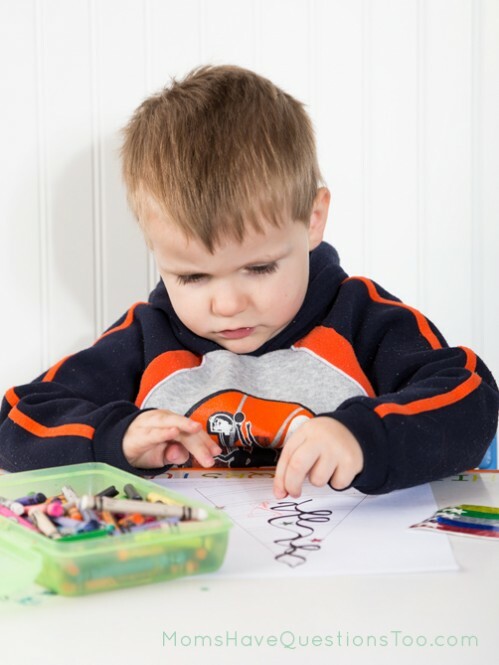 You can get all printables and ideas for H is for hat (and all other letters) from my Toddler Curriculum. 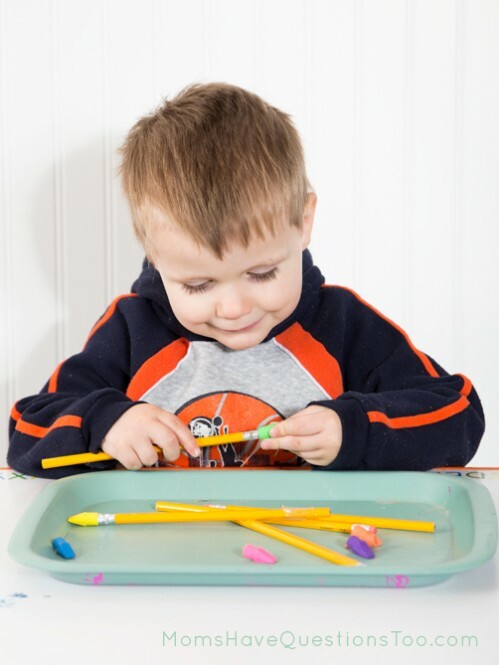 Glue tracing: write several H and h on a piece of paper. 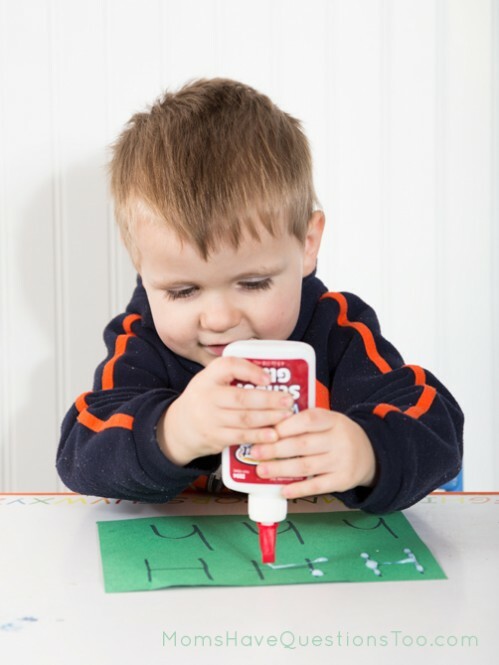 Have toddler trace the letters with glue from a glue bottle. Picture Matching. Draw a line from each big picture on the left to the small picture on the right that matches. Draw hats on the people. Decorate the construction hat. Put “hats” (eraser toppers) on pencils. Glue hole punch circles (or circles from a bigger circle punch) onto mini sombreros. Tape numbers 1-5 on dot markers. 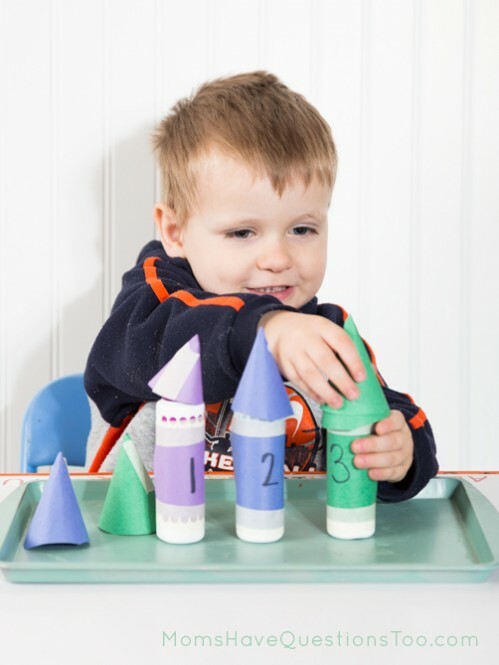 Make tiny party hats from paper and make sure they fit on the markers. Put correct number of hats on markers. 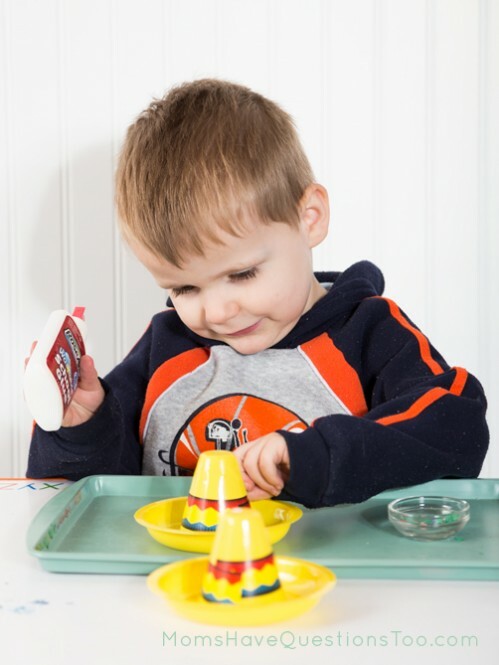 Print hats from printable in Toddler Curriculum. Put biggest hat on bottom, next biggest on top, then next biggest, etc. Starfall letter H online book. Smiley Man usually loves these. We’ll have to do it this upcoming week for sure. We didn’t read any hat books, but I really wanted to read Caps for Sale with Smiley Man. We never got to the library though. :( Maybe I’ll just buy it because it’s such a classic. This was another activity that we actually had time for this week. 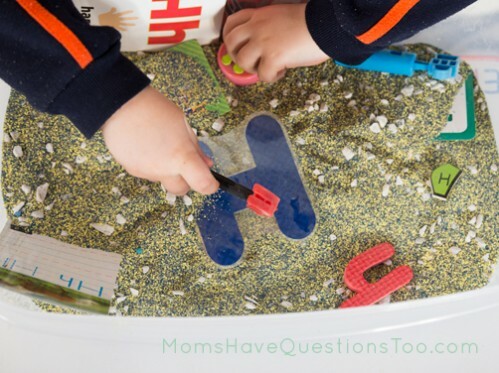 I used craft sand as the base for the sensory bin. The color looks a weird in the pictures, but in real life it looks much more inviting. There is blue, white, and yellow craft sand and lots of H and h items. 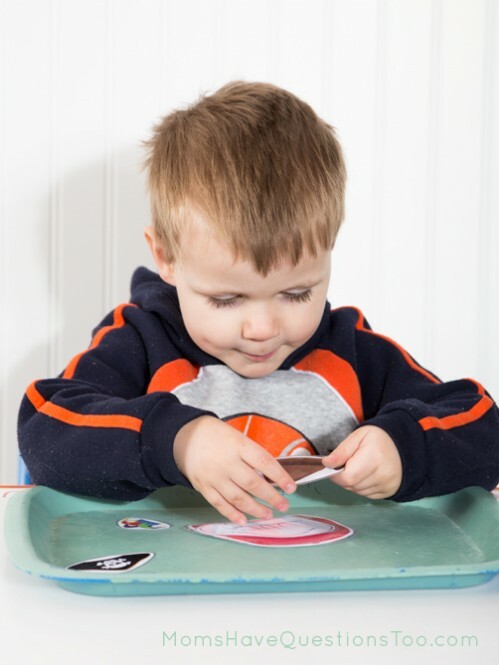 See my ABC Sensory bin post for ideas about what to put in the sensory bin. I love having a plan and I love doing lots of fun things with Smiley Man. 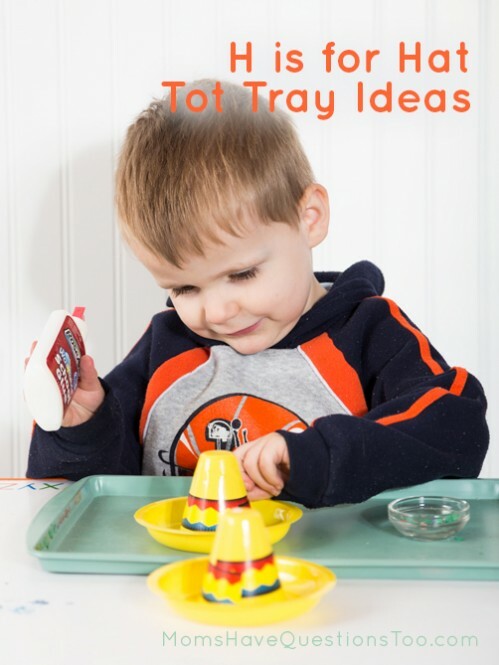 However, when things have been so busy for me the last few weeks, it was SO nice to just do tot trays and the H sensory bin. And you know what? Smiley Man still worked on a ton of skills. Yay for a curriculum where I can take things away or add them depending on our situation!